Oh politics! Shameless defection left and right, lmao. 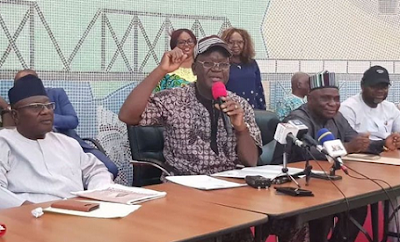 The Peoples Democratic Party (PDP) has welcomed Benue State Governor, Dr Samuel Ortom back to its fold and urged all its members in the ruling All Progressives Congress (APC) to return to the party. “The return of the Governor to PDP confirms the fact that President Muhammadu Buhari’s led-administration and the APC do not have the welfare of Nigerians at heart. Painfully, Nigerians are being slaughtered in Benue, Taraba, Plateau, kaduna, Zamfara, Sokoto, nearly on daily basis,” the statement added. “We urge the governor to be rest assured that he will be accorded his dues and rights as a member of the PDP, the statement said.